Dark techno is a beast of a sample pack. Drawing reference from techno legends Levon Vincent and Andy Stott to the more experimental, downtempo aspects of Nicolas Jaar and Holy Other, this bespoke sample collection offers unrivalled intensity and brutality. Rich with cursed and snarling ambient drone loops, savage techno drums, system shaking bass loops and samples, analogue chord progressions, dub-techno stabs, grooving percussion loops and the most brutal kicks available on the sample pack market. 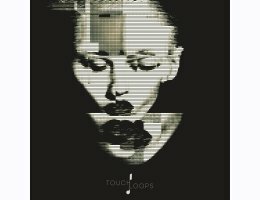 Each loops or one shots perfectly captures the tone and intensity of warehouse techno ensuring your next production translates perfectly from the bedroom to the club. This really is an incredible collection that we just can't wait for you to get stuck into and explores sounds guaranteed to offer something far more unique than traditional techno loops and samples.